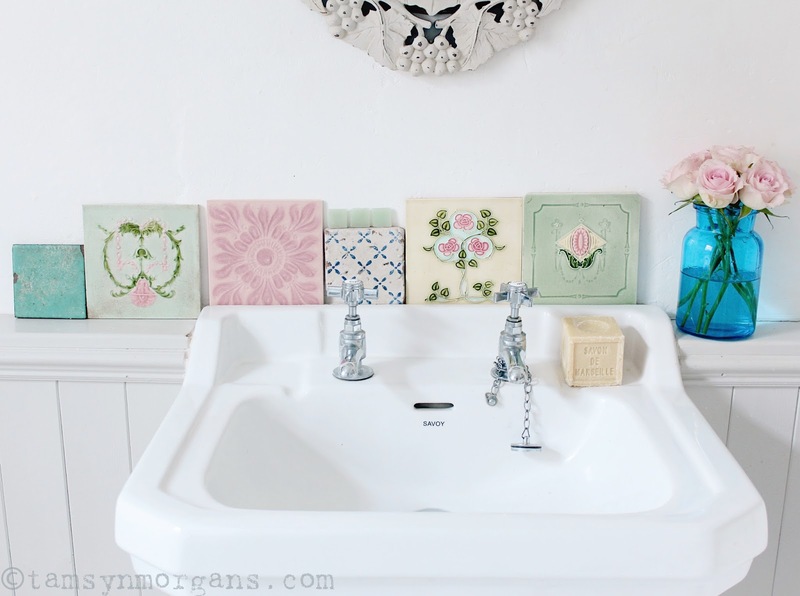 I posted recently about my search for Vintage Tiles (post here) for my eclectic splash back above my bathroom sink. My little collection is growing, slowly but surely, and I’m only a few tiles away now from having enough to complete it. 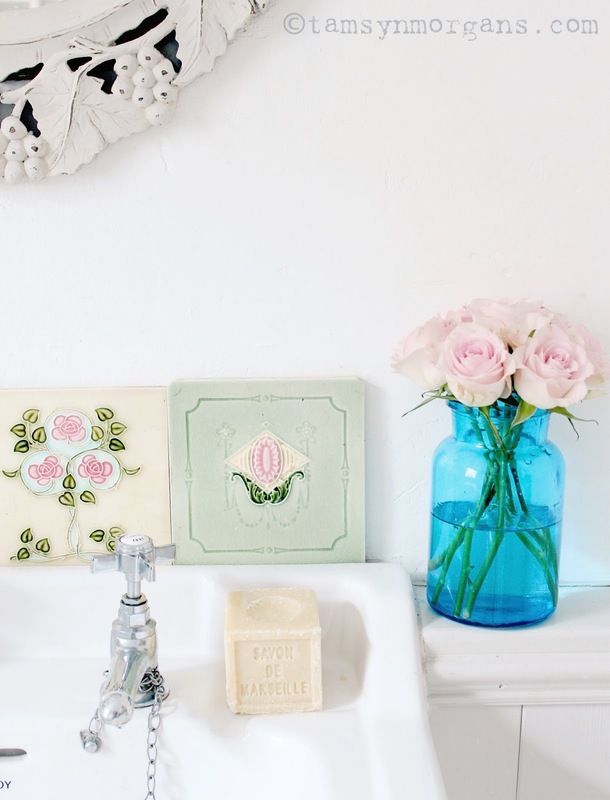 eBay is proving to be a good place to find tiles – recent finds include the pink psychedelic tile you see in the picture above, and the stunning antique (Edwardian maybe?) tiles (2nd from left and 2nd from right). I actually managed to get a box of six or seven of the 1970’s pink tiles so the rest might make their way into my kitchen, because they are so fabulous. The rustic French soap was one of two that were a Christmas gift from my dear friend Lucy. Wow, those are beautiful! Your back splash is going to look so cool, can't wait to see it! These are so beautiful, it's going to look stunning! 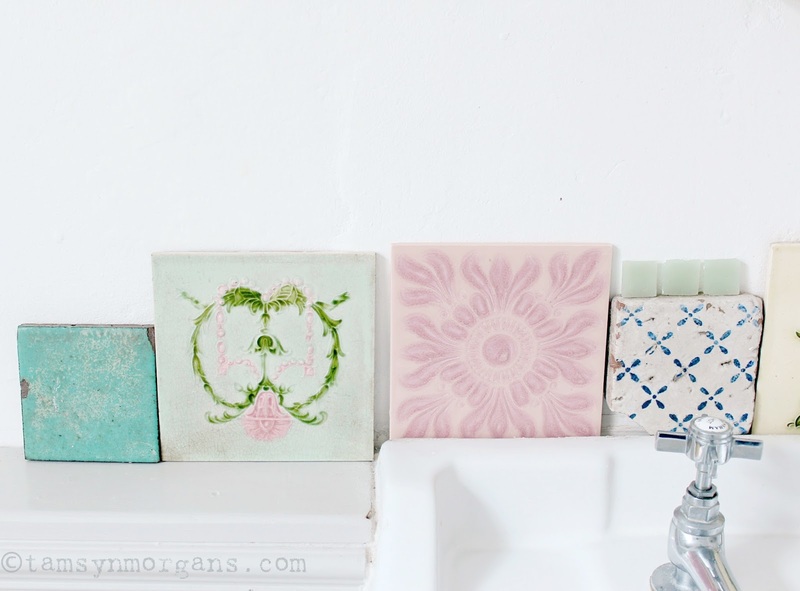 Such pretty tiles – it's going to look gorgeous!